In fact this tale started back in December, when Adobe decommissioned the online licensing activation servers for all of these old programs due to technical issues. At the time their tech support team added two help pages to assist existing owners who would no longer be able to (re)activate their software, such as in the case of trying to moving it between computers. To remedy this difficulty for those who were experiencing it, Adobe made available full versions that do not require activation. At the time (December 13th), Adobe Tech Support Specialist Jeff Wright also opened a long Adobe Forums post announcing the solution to the activation problem (“Looking to activate Creative Suite 2, Acrobat 7, or Macromedia products?”), with links to the download pages with system requirements plus assistance for customers needing help in (re)installation of their CS2 programs. 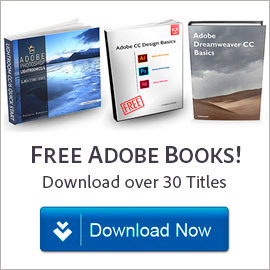 Clearly, Adobe’s intention here was to provide uninter­rupted access to people who were still using these prior releases. There were some holes though. Premiere Pro 2.0 and Audition 3.0 were provided for those who needed them, but After Effects 7.0 and Encore 2.0 were not… Some users have been stuck and asking about those, but as of this writing no explanation for their absence has been given. Effective December 13, Adobe disabled the activation server for CS2 products and Acrobat 7 because of a technical glitch. These products were released over seven years ago and do not run on many modern operating systems. But to ensure that any customers activating those old versions can continue to use their software, we issued a serial number directly to those customers. 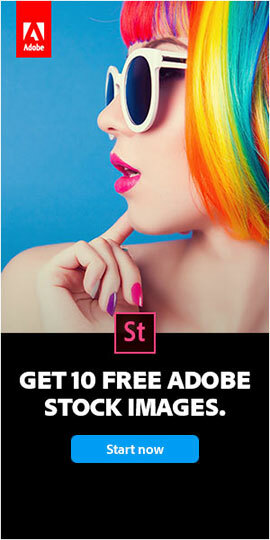 While this might be interpreted as Adobe giving away software for free, we did it to help our customers. Q: Is it OK for someone who did NOT purchase CS2 to download this now for personal use? A: No, it isn’t. The download link is there only for the benefit of people who’ve paid for CS2. As noted, the old activation server developed problems and had to be retired. To ensure that customers weren’t left in the lurch, Adobe put out this alternate build. It’s not for people who didn’t pay for CS2. The purpose of this measure was not to distribute software free of charge to a large number of people. 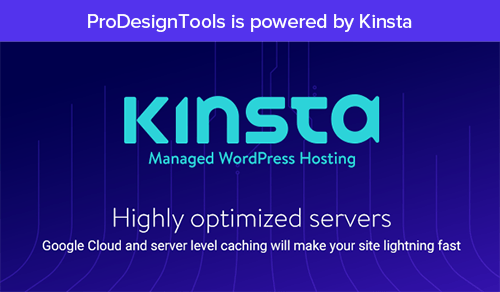 Rather, the measure was initially put in place in order to make the software as user-friendly as possible for those customers with the proper license. Anybody using it without the proper license is in violation of the licensing agreement. We thank you for your understanding. So what does this all mean or add up to? It appears to us as if Adobe’s efforts to help a small subset of users of older products “got out of the bag,” so to speak, and was misinterpreted as giving away largely obsolete software to a broader audience. Here it looks like a case perhaps of unintended consequences. Will these old CS2 direct download links and keys being “out there” now hurt the company going forward? In our opinion, probably not. Adobe does an enormous business in software upgrades from much more recent versions. There are hundreds of thousands of customers who have been thrilled to buy an upgrade for just one major release from Photoshop CS5 to CS6, considering all the new features added there, and with more improvements since… Most would consider CS2 to be ancient history compared to that, in terms of performance, featureset, formats & standards supported, workflow efficiency and time savings to get your job done – just look at all the differences between CS6 and CS3, which is newer. 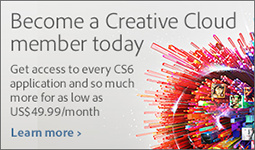 The customers who would still use CS2 are not likely to be folks who would buy CS6 from Adobe any time soon. 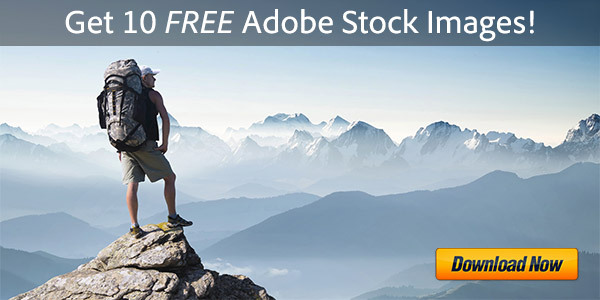 The software industry evolves so quickly that Adobe’s latest hobbyist offering for photos and imaging – Photoshop Elements 11 which sells for under $100 – is more current, capable, and compatible than eight-year-old programs. 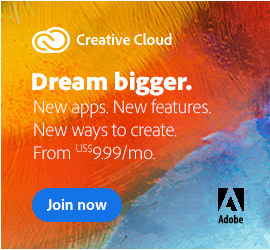 Meanwhile, today’s students and teachers can already get the new Photoshop CS6 Student & Teacher Edition for 75% off the regular price – while anybody at all can pay just $1-$2 per day for full and complete access to $10,000 of the new best-of-breed Adobe tools by simply joining the Creative Cloud. Finally, some make the case that this situation could even help Adobe’s sales. Obviously there’s the buzz and general interest generated here. But further, the company doesn’t have a great deal of strong competition – so if someone used CS2 instead of competing program then that could reduce the demand and development of alternate options, while bringing a new user on board with the Adobe brand and possibly a future paying customer for a modern product such as Creative Cloud. Regarding the quote from John Nack. Please keep in mind that the disclaimer on his blog clearly says that: “The views expressed in this blog are my own and do not necessarily reflect the views of Adobe Systems Incorporated.” So this and the other comments on Adobe blogs are not official statements from Adobe. I’m afraid in the absence of such a statement, the confusion will continue. This has better information on this post in regards to the Photoshop Free Giveaway or Photoshop NOT Free Giveaway deal. Many people thought that this is a free for all on Photoshop CS2 and other programs in the same time-frame as CS2, but now it appears it is not the case. Since Adobe have released the universal product ID keys for all of these packages in the same date range, I can only think how would they stop someone from downloading especially since it appears to have been made available on other sites too. I suppose Adobe could always block the download, which in my case after 10 MB of downloading and whilst logged in to my Adobe account I get a network error and this happened on two occasions. Maybe now Adobe has set up something up so the people who have CS2 only can download. That would make sense but it appears for a short time there must have been a loophole. If anyone else managed to download this CS2 full program you can post it here. Although, that being said I don’t have the same version so for the CS version I shall just wait until I really need a different version. Chris Dickman: Regarding the quote from John Nack. Please keep in mind that the disclaimer on his blog clearly says that: “The views expressed in this blog are my own and do not necessarily reflect the views of Adobe Systems Incorporated.” So this and the other comments on Adobe blogs are not official statements from Adobe. I’m afraid in the absence of such a statement, the confusion will continue. I know, even now I’m not sure myself but having said that, I rather use my CS5 anyway. McKenzie Voice: This has better information on this post in regards to the Photoshop Free Giveaway or Photoshop NOT Free Giveaway deal. Many people thought that this is a free for all on Photoshop CS2 and other programs in the same time-frame as CS2, but now it appears it is not the case. Since Adobe have released the universal product ID keys for all of these packages in the same date range, I can only think how would they stop someone from downloading especially since it appears to have been made available on other sites too. There ARE things they can do. Whether demanding a current license to trade for the universal one, or simply SAYING this is for CS2 owners ONLY… on the “blog” page where Adobe Corporate Communications has decided to make its very vague point. Instead, a bunch of apparent reps for different Adobe products are trying to convince people. I own CS2 and downloaded the serial numbers knowing I was legal, no matter what Adobe intended. But they also had a free download with serial number for Photoshop Elements 5, which I never owned. I registered the serial number and Adobe accepted my registration with no questions asked, so I don’t think they were too worried about people sneaking in on this deal. Maybe they saw them as potential new customers. No, that’s not it. It’s simply that the product registration system was not changed to reflect what’s happened here… Software registration has nothing to do with the legal aspects of licensing. So Adobe would tell you that doing that does not indicate your legal ownership or right to use, sorry. This is indeed an interesting article. I wonder what Adobe tech support would say about this? They have said it’s correct. Are there any words when this will happen to CS4, CS5.5 and CS6? Knowing that this now happened to CS3 makes me want to be sure that I can access old software if I ever need to (I got a habit of holding onto old software). Hey Daniel! No, sorry – we haven’t heard anything. Adobe generally wouldn’t announce something like that in advance, if it even ever happened. The issues with CS2 (and later CS3) had to do with aging activation servers that needed to be retired. There’s no telling if anything similar will transpire with later releases such as CS4, CS5, etc. Note however that with Creative Suite 3, you need a existing CS3 serial number in order to get a replacement serial number and installer, or take advantage of an special upgrade offer. So there’s really nothing free about that one either. Get an Activation or Connection Error with CS3 or Acrobat 8? No worries, I don’t own CS3 – so it’s not like I would take advantage of this anyway.